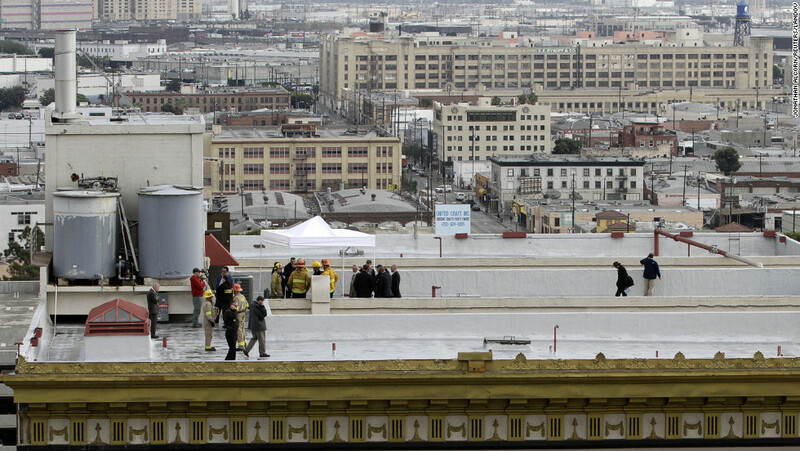 On 19th February 2013, Elisa Lam was discovered in a water tank at the top of the Cecil Hotel in Los Angeles. Most of her clothes and possessions were floating around her lifeless, naked body. She had been missing since 31st January. The cause of death was ruled accidental. A truly horrific and very real case that while should not be trivialized, is fascinating and deserves looking at. OK – a little background. You can clearly see Elisa's hands palm down - some say how she moved her arms and hands here was unnatural and unsettling. Elisa resided in Vancouver, British Columbia, Canada and was a student at the University of British Columbia. Her parents, who had emigrated to Canada from Hong Kong, owned Paul’s restaurant in the Burnaby area of Vancouver. In early January 2013, she set out on a trip to California. She even set up a blog on Tumblr entitled her “West Coast Trip.” She was travelling alone and made most of the journey it is believed by bus. She posted regular updates on social media during her travels and by 26th January she had arrived in Los Angeles where she checked into the Cecil Hotel. On 31st January she was due to leave the Cecil, and go on with her trip to Santa Cruz. She had made regular daily contact with her parents throughout her journey. On this day though, they did not hear from her and quickly alerted the Los Angeles Police Department. While hotel staff all stated that Elisa was alone, the only person who claimed that she had seen her that day was the manager of a bookshop nearby called “The Last Bookstore”, Katie Orphan. It certainly was. You can find the full transcript of the CNN news feed here. It also speaks about how other residents and guests at the Cecil had started to report that the water was a strange colour and “did not taste right” in the days leading up to Elisa’s body being discovered. There was even comparison’s to the plot of the 2005 horror flick 'Dark Waters' – you can read the synopsis to that film here. 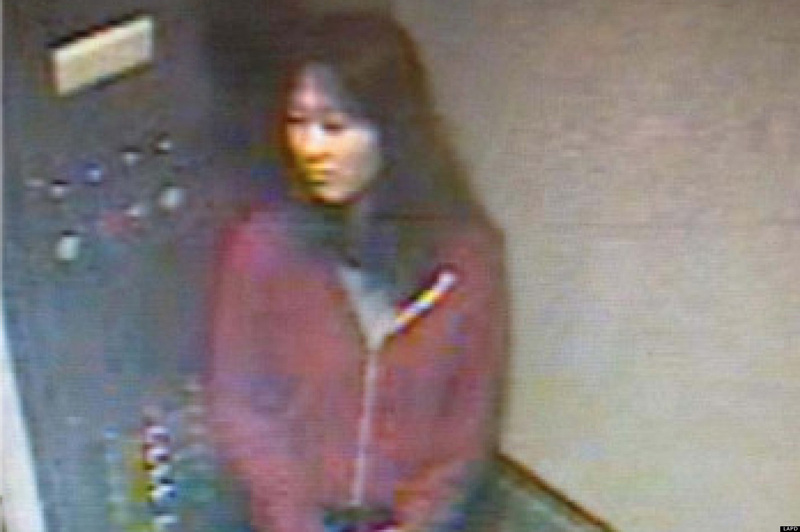 Five days before her body was discovered, video footage was released from the CCTV of the hotel elevator. It is this footage that has led to the wild debate on exactly what happened. Before we look at that though, check out just two of the news reports that ran at the time of the discovery of Elisa's body below. Before we look at the footage, let’s have a quick look at the Cecil Hotel where Elisa had stayed from the 26th January, indeed the last place she was seen alive. ​The Cecil Hotel was built in 1924 and was originally intended for business travellers who would have to regularly commute to Los Angeles for work purposes. However by the late 1950s, in part due to the changing demographics of Los Angeles, the Hotel had gained an unsavoury reputation that carries on to this day. Throughout the decades it became a sanctuary for the sort for people who were, essentially, down on their luck. Part of the hotel was also converted into a cheaper open hostel, particularly aimed at European and other non-American visitors. The hotel has also had three known murders and numerous people have committed suicide there – usually by jumping from the windows. In one bizarre twist, when twenty-seven year old Pauline Otton leapt to her death from her ninth-floor window in October 1962, she landed on sixty-five year George Gianinni who happened to be walking by below – they were both killed instantly. You can read a little more detail about the Cecil Hotel’s past here. Perhaps more notable is the reported residence of two serial killers at the hotel during their individual killing sprees – Richard Ramirez in 1985 and Jack Unterweger in 1991. It is also reportedly where Elizabeth Short, the victim in the Black Dahlia Murder, was last seen alive. The video below looks at the strange and dark history of the Cecil Hotel. Elisa Lam in the elevator - her strange behaviour and body language has to led to many conspiracy theories as to what exactly happened to her. Clues In The Cecil Hotel Security Footage? OK – so on to the CCTV footage that went viral around the Internet. It was released on 14th February by LAPD and was the last known footage or confirmed sighting of Elisa – the date is said to be 1st February – remember Elisa was supposed to check out the day before. ​Elisa acted extremely strangely in the video, both in her actions and body language. It should be noted that Elisa did suffer from bipolar disorder and some have stated this contributed to her strange behaviour. That is certainly a possibility but it does not explain why or how she ended up in the water tower. The fire department had to drain the water tower and then cut it open to obtain Elisa’s body. The water tower also had an extremely heavy lid that needed a ladder to get on top of, and the lid itself would have been hard, maybe impossible, to close from the inside. No ladder was found next to the tower when her body was discovered – remember the official ruling was accidental death. In the video, Elisa can be seen entering the elevator where she proceeds to press numerous buttons on the control panel – all the while the elevator doors remain open. She can be seen looking around as if she is expecting someone to appear - as if she is being followed. At one point she acts as though someone has entered the elevator cab as she backs into the corner, her eyes seemingly fixed on something in front of her before she slides against the wall of the carriage. She can also be seen briefly raising her hands to her ears as if trying to block the sound of something. All the while the elevator doors remain open. As she walks away and goes out of shot, the elevator doors shut. It is from this footage that several theories arose as to what had happened. You can view the security footage below. The first was that Elisa had indeed suffered a bipolar episode and after leaving the elevator had somehow got on to the roof of the hotel and ultimately the water tower. This is possible but a little unlikely. Access doors to the roof would have triggered an alarm and alerted hotel staff that someone had forced them open (this didn’t happen). Elisa could have gained access to the roof via a fire escape but again, how she could have gotten into the water tower and closed the lid herself is unknown, and unlikely, right? And that also relies on the fact that Elisa, or whoever was with her, knew about the alarm and so declined to use the much easier access doors in the first place. That leads on to the next theory. That, someone, was indeed following Elisa and had ultimately murdered her and dumped her body in the water tower. However there was no evidence of anyone being with her, and although some people have stated that the CCTV footage was tampered with so cutting out Elisa’s attacker, this is denied by LAPD. Perhaps Elisa did go up to the roof and met her attacker there? Maybe she met her attacker after walking away from the elevator and was taken to the roof after she was murdered? This again would suggest that if this was the case, her attacker would likely be someone who knew the layout of the hotel and had knowledge of the hotel security systems and maybe even access to the CCTV cameras. Another theory, based purely on the CCTV footage and hotel’s dark past and reputation, is that Elisa had become possessed before leaving the hotel. Indeed some looked at the footage, particularly the way her arms outstretched and how her body shook in the corridor as the moment of possession. It was very shortly after this that Elisa walked away from the elevator. Was Elisa Playing The Elevator Game? We take a brief look at this in a moment but if you want to read about this in more detail click here. I don’t recommend that you try this or any other ritual or dare that you see on the Internet. The Elevator Game is said to be very “popular” in Korea and is said to open a portal that will take the player to another dimension. It has to be “played” in a building with at least 10 stories and involves entering the elevator alone, selecting specific floors and when reaching that floor selecting another, and when you reach that floor you select another and so on. It is said that when you reach the fifth floor after following the specific order of floors in the game, what looks to be a girl will get on the elevator. This girl, however, isn’t human and the player must not speak to, look at, or listen to her. The player is to press 1 on the elevator and they will be taken to the 10th floor where the doors will open and they will have succeeded in opening the portal. Again as they leave it is said that the “girl” will speak to the player and ask “where are you going?” but the player is not to talk to her. Apparently the world you will enter is much the same as the one you left but much darker and with a very heavy feel to the air. So heavy that it will make it difficult to breathe and you may feel dizzy. It is also said that electrical devices such as mobile phones will not work there. To leave the world you must get back on the same elevator and repeat the process, again making sure you do not speak or acknowledge the girl who will be with you. It is said that when you reach the last point then the player may have to repeatedly press the elevator buttons to get the doors to close to fully take you back to the player's realm and that all the while a “woman” will try to get on and again you must not interact with her. It is also said that if you were to pass out due to difficulty breathing the "thick air" while still in the other dimension that you may not be aware of it and would wake up in the place you left. Could this have happened and Elisa had “awoken” in the water tower? 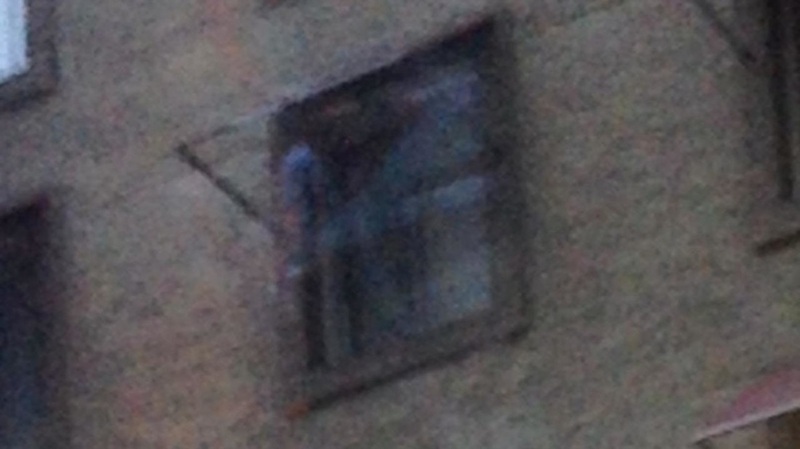 As a testament to the strange goings on at the Cecil Hotel in Los Angeles, this picture is said to show a ghost at the window of the building. The last theory is arguably just as unlikely as the one before it but there are some who are convinced the following is, in fact, what happened. Some say that a room in the hotel was registered to 'The Invisible Light Agency'. One of the things they are rumoured to research the development of is cloaking devices – although this is certainly not official. On various blogs and social media some people had said that Elisa was interested in what they were doing and that she was even posting pictures and such online about their activities near the time of her death. 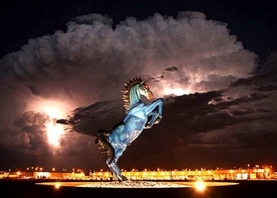 Is it possible that there was nothing supernatural at all but a real, in the flesh “invisible” attacker pursuing Elisa? Does that explain the body movements in the corridor – that we just can’t see the attacker as they are using a cloaking device. With this theory in mind and then looking again at the footage around the two-minute mark it could be seen as though Elisa was, in fact, being restrained. It is also interesting that there have been reports very recently regarding cloaking devices and that they are essentially ready to use. Were they being developed in the Cecil Hotel? What adds to this theory is that on 13th January, Elisa sent a tweet about a 'Huffington Post' article that stated a Canadian company was going to get the go-ahead from the Pentagon to develop cloaking devices that would make soldiers invisible – the article she tweeted about can be read here. The video below looks at the theory there may have been a connection between this agency and Elisa Lam's death. ​Some also say that the authorities had an air of “secrecy” about how they handled the investigation, and this has only fueled many of these types of theories on Elisa's death. Photos were also posted to Elisa’s Tumblr account after her death. 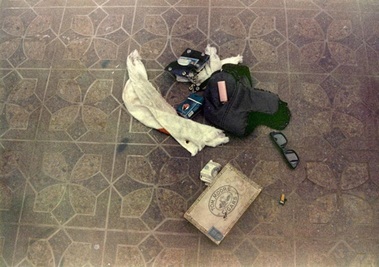 Her phone was noted as one of the items that was not found when her body was discovered, and it is not known if these pictures relate to her death or were simply posted as part of Tumblr’s queuing service that allows people to have their pictures posted automatically while they are away. One final coincidence that makes the story even stranger is that in the days immediately following the discovery of Elisa Lam’s body, there was an outbreak of tuberculosis in the homeless population of Los Angeles. The kits that were used by doctors to test people for the outbreak were called Lam Elisa kits. Had Elisa somehow been purposely infected with tuberculosis and then her body left in the water tank so it could be seen how infection may spread to others in this manner? And if so, was she simply in the wrong place at the wrong time as whoever might have been behind such a dark project selected their guinea pig? Strange circumstances all, and more importantly, the tragic reality of Elisa Lam’s death. 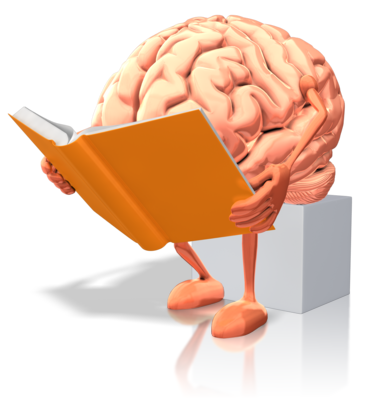 As with all stories and cases of this nature, the theories and debates will continue until one is proven beyond doubt. However, in this case, it looks highly unlikely that will ever happen. Check out the two videos below - two short documentaries presenting an overview of this most chilling case.